Well, what can I say? The year is almost over – again. It feels as though Xmas now happens upon us every few months rather than once a year (which actually it does, of course, in a way). This month’s issue is again dominated by a torrent of truly atrocious news from the US. A killing competition, a federal agency that needs to be reminded by the public of what their job is, widespread reckless and cruel killing of wildlife, and the attitude of “I feel like taking a life today” spreading to neighbouring states. My suggestion for solving this issue is parachuting every Idahoan and Montanan in possession of a rifle over the Iraqi/Syrian border so that they can do something sensible on the one hand, and find out what it is like if the target shoots back on the other. The sighting of a lone wolf in Arizona is of course interesting news, but I bet some dumbos are busy oiling their guns already. 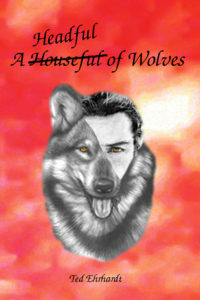 We also have another haunting wolf tale, and Erin reports on how the arrival of a houseguest at an inopportune time of day upset her pack. Time is running out for Idaho’s wolves…and the U.S. Fish and Wildlife Service (FWS) has its head stuck in the sand! More than five months have passed since Defenders formally requested FWS conduct an urgent review to reassess the status of wolves in the Northern Rockies, based on the aggressive management of wolves by the state of Idaho. The call for this status review is an important step toward restoring Endangered Species Act protection to wolves in Idaho and other Northern Rockies states. Instead of managing their wolves like other wildlife, the state of Idaho has declared war on them. Passed a “kill wolves” law, HB470, allocating more than half a million dollars for the sole purpose of killing as many wolves as possible. 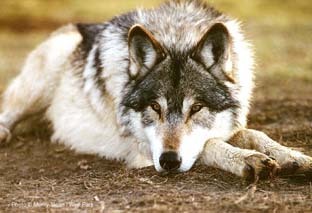 The Governor of Idaho has made no secret of his intention to reduce the state’s wolf population by almost 80 percent. We warned this would happen – when federal protections are removed in wolf hostile states, anti-wolf state politics take over and wolves die. USA: URGENT: Protect Idaho wolves now! Idaho’s wolves are headed for disaster. More than 1,100 wolves have been killed since the premature delisting of Idaho’s wolves in 2011. Five months ago, Defenders formally requested the U.S. Fish and Wildlife Service conduct an urgent review to re-assess the status of wolves in the Northern Rockies, based on the aggressive management of wolves by the state of Idaho. So far we have heard nothing back! We wanted to share the news with you as soon as we heard it. There have been multiple reports of what appears to be a gray wolf wearing a radio collar wandering along the North Rim of the Grand Canyon in Arizona. 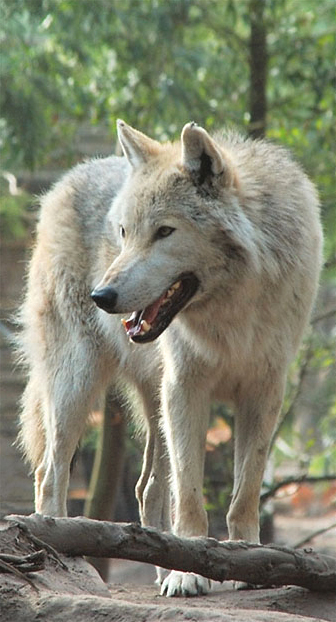 If the reports are confirmed, it would be the first gray wolf to visit the area in decades. Agency officials are scrambling to collect any possible evidence of a wolf’s presence. The Grand Canyon creates an almost insurmountable barrier for migrating Mexican gray wolves from the south, so if this animal is a wolf, it had to come from the north. If confirmed to be a wolf, it likely travelled hundreds of miles from the Northern Rockies – a truly amazing journey. As we learned three years ago with OR-7’s historic visits from Oregon to California, young wolves will travel great distances in search of territory and a mate. And the country around the North Rim is ideal wolf habitat. If this does indeed turn out to be a Northern Rockies gray wolf, it is truly a moment to celebrate! Regardless of what this sighting turns out to be, it is a reminder of a conservation goal that we all share and are working tirelessly to achieve: The free range of wolves down the entire length of the Rockies. This potentially historic event further emphasizes the importance of keeping wolves federally protected under the Endangered Species Act. We will keep you posted with the latest news as we learn it. Nearly a quarter century ago, L. David Mech made a pair of bold predictions about the challenges awaiting wolves in the American West and the role of Native American Tribes. As Idaho ramps up its killing of wolves, could he be right? Shamefully, Montana and Idaho have no state-wide quotas on the number of wolves that can be killed during hunting season. Montana has averaged nearly one wolf killed every day since mid-September. In Idaho, that number is even higher. With no state-wide quotas and trapping season to begin in December, things are going to get a lot worse. In Idaho and Montana, there are no state-wide quotas on the number of wolves that can be killed. 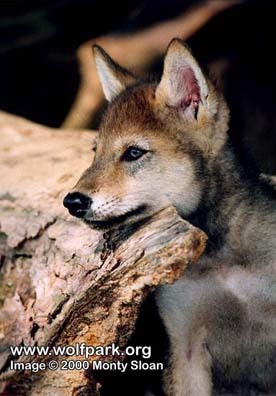 In both states, it’s legal to kill mother wolves and pups. In Idaho, the state is spending hundreds of thousands of dollars each year to subsidize wolf extermination. In Montana, you can get a license to kill up to 5 wolves for only $19. In Idaho, you can kill up to 10 wolves for $11.50 per wolf. This is what happens when wolf “conservation” is left up to states with anti-wolf politicians. It’s a tragedy. And it’s plain wrong. When you support Defenders, you stand with us to give a voice to vulnerable wildlife like wolves that have no voice of their own. You support a vibrant field staff on the front lines of the battle to protect wolves. You support the best wildlife lawyers in the country. And you support our Washington, DC team who go toe-to-toe with wolf haters and other special interests on Capitol Hill. Defenders of Wildlife has been winning life-saving wildlife battles since 1947. But we are only as strong as our supporter base – people like you, who love wildlife and are willing to do their part. Wolf hatred has spread west to Washington State. Yesterday, we learned that the alpha female of the Teanaway pack was shot and killed, throwing the entire pack’s future into jeopardy. Disturbingly, the killing may have been intentional and a criminal investigation is underway since wolves in Washington State are protected under both state and federal law. Defenders of Wildlife and our conservation partners are offering a reward for any information leading to the apprehension and conviction of the wolf’s killer. There are barely 60 known wolves in the entire state of Washington. 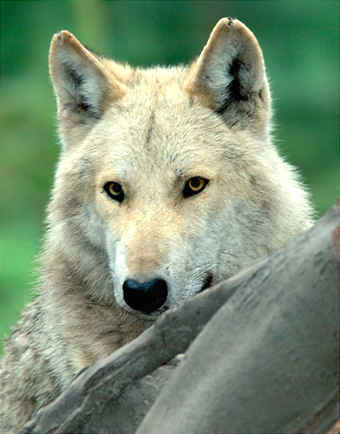 With the tragic loss of the alpha female, the fate of the Teanaway pack is now uncertain. This is a major blow to wolf recovery in the Pacific Northwest. When you support Defenders, you stand with us to give a voice to vulnerable wildlife like wolves that have no voice of their own. You support expert field staff on the front lines of the battle to protect wolves. You support the best wildlife lawyers in the country. And you support our Washington, DC team who go toe-to-toe with those on Capitol Hill who want to exterminate wolves. We just received news of yet another sickening development in the war on wolves in Idaho. The federal Bureau of Land Management (BLM) has just approved a wolf and predator-killing derby that would take place every year for the next five years. Using our federal lands for a commercial killing competition is shocking and wrong – so we’re going to court to stop it. Put on by a “hunters’ rights” organization, this 19th century kill fest will be held on federally owned wild lands and will target wolves and a wide range of other wildlife. This recently approved kill fest would take place during winter, when wolves and other wildlife are at their most vulnerable – out foraging for food in the snow and extreme cold. These are the kinds of barbaric extermination-era tactics that drove wolves to the brink of extinction in the Lower 48 in the first place! There’s no denying that Idaho has declared war on wolves. A commercial wolf and predator-killing derby has no place in today’s society. The federal government spent decades and millions of dollars to recover wolves in the Northern Rockies and now they’re enabling and contributing to their decline! At the end of October, the collared population consisted of 59 wolves with functional radio collars. There are currently 18 packs and 6 single wolves in the BRWRA. 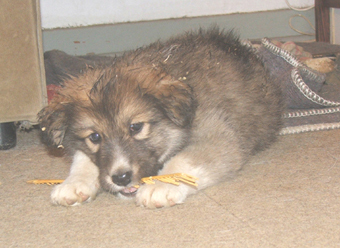 As of this report the IFT has documented 40 pups produced in the wild population for 2014. In October, the Bluestem Pack continued to use their traditional territory in the central portion of the ASNF. On October 20, a member of the IFT observed eleven wolves in the Bluestem pack near Sierra Blanca Lake. The wolves were observed feeding on a dead cow elk. In October, AF1294 continued to be located within its traditional territory in the northeast portion of the ASNF in Arizona. No other significant events occurred involving this pack during October. During October, the Hawks Nest Pack was located within their traditional territory in the north central portion of the ASNF. No other significant events occurred involving this pack during October. In October, M1290 travelled between the northern portion of the FAIR and the north portion of the ASNF. No other significant events occurred involving this pack during October. In October, the Rim Pack was located in the south-central portion of the ASNF. The IFT attempted trap a single pup associated with the pack and AM1107 to replace the collar, but were unsuccessful. On October 30, the IFT caught and recollared M1342. The previous collar on M1342 had failed and needed to be replaced. During October the Maverick Pack was located within their traditional territory both on the FAIR and ASNF. During October, the Tsay o Ah Pack was located on the FAIR. On October 14, M1249 was trapped on the FAIR. M1249 was processed and released on site. M1249 has remained on the FAIR during October. On October 12, the IFT caught and collared a juvenile female wolf on the FAIR. 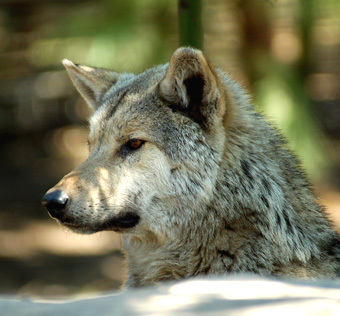 The wolf was collared, designated f1388 and released on site. Wolf f1388 has remained on the FAIR. On October 14, the IFT caught and collared a juvenile female wolf on the FAIR. 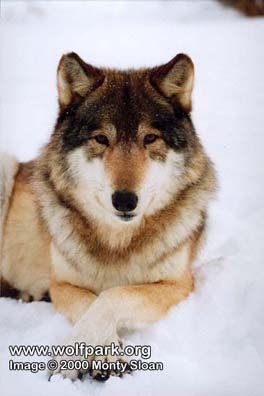 The wolf was collared, designated f1389 and released on site. Wolf f1389 has remained on the FAIR. During October, the IFT located these wolves within their traditional territory in the central portion of the GNF. On October 18, the IFT captured and AM1051 in the Gila Wilderness. 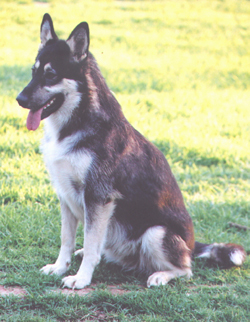 The wolf was released on site. On October 19, the IFT captured and collared mp1350. 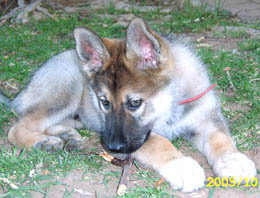 The wolf pup was released on site. The Coronado Pack continues to remain within the Gila Wilderness. 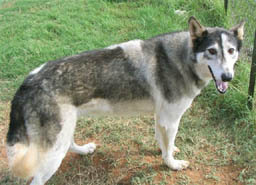 Throughout October, the IFT located this pack within its traditional territory in the west-central portion of the GNF. 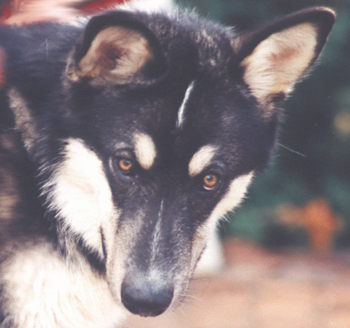 The IFT monitored the Dark Canyon pack closely in October for opportunities to collar pups; however, no capture operations were conducted. During October, the IFT documented the Fox Mountain Pack within its traditional territory in the northwest portion of the GNF. A food cache has been maintained for the Fox Mountain Pack this month in an effort to prevent livestock depredations. During October, the Lava Pack has remained separate from each other. Through early-October, M1282 has been located with its natal pack, the San Mateo Pack. F1295 has been located with, or in close proximity to, single M1285 in the Gila Wilderness throughout October. In October, the Luna Pack remained in their traditional territory in the north-central portion of the GNF. The IFT has maintained a food cache for the Luna Pack in an effort to prevent livestock depredations. Throughout October, the Prieto Pack was located within their traditional territory in the north-central portion of the GNF. A food cache has been maintained for the Prieto Pack in an effort to prevent livestock depredations. In October, the Mangas Pack utilized the area in the north-eastern portion of the GNF. During October AM1157 was located dead in New Mexico. The incident is under investigation. M1282 has not been located during the second half of October. On October 30, M1345 originally from the Fox Mountain Pack was located traveling with AF903. 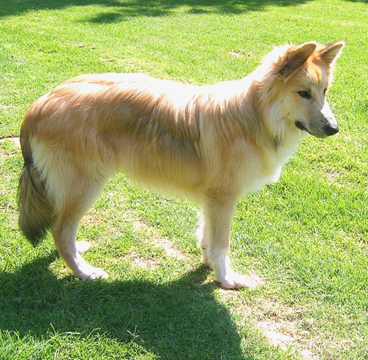 On October 20, the IFT captured and an uncollared female pup from the Willow Springs Pack. 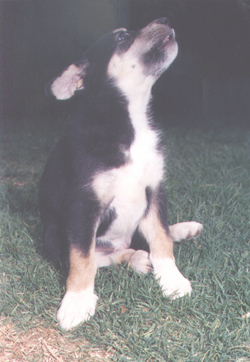 The pup was collared, designated fp1390 and released on site. On October 21, the IFT captured and collared a male sub adult from the Willow Springs Pack. 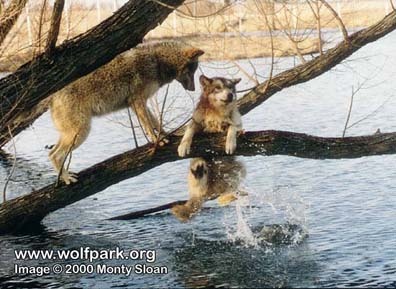 The wolf was collared, designated m1391 and released on site. Willow Springs Pack continued to use their traditional territory in the north central portion of the GNF. In October, the Iron Creek Pack continued to utilize their territory in the northern portion of the Gila Wilderness and the southern portion of the Gila National Forest. 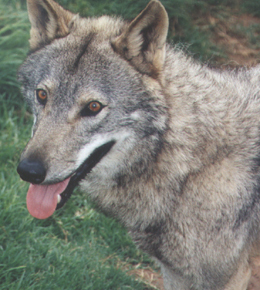 In October, a wolf believed to be M1254 was recovered dead in New Mexico. The incident is under investigation. Throughout October, M1284 was located with its natal pack, the Luna Pack, in the north-central portion of the GNF. In October, M1285 was located with F1295, from the Lava Pack, within the Gila Wilderness. 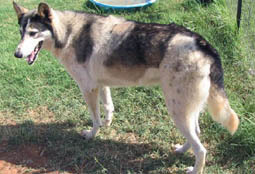 Wolf f1332 has remained in Arizona and has travelled the south central portion of the ASNF. The IFT has documented this wolf travelling alone. 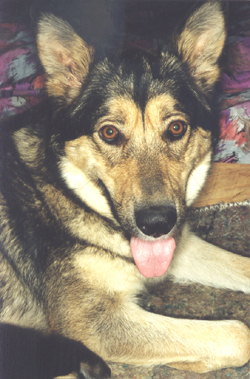 In October, AM1157 from the San Mateo Pack was located dead in New Mexico. The incident is under investigation. During October there were four livestock depredation reports and no nuisance reports in the BRWRA. On October 2, Wildlife Services investigated one dead cow in New Mexico. The investigation determined the cow was a probable wolf kill incident. On October 6, Wildlife Services investigated a dead cow near Long Canyon in Arizona. The investigation determined the cow died of unknown causes. On October 8, Wildlife Services investigated a dead cow on the FAIR in Arizona. The investigation determined the cow died from unknown causes. On October 27, Wildlife Services investigated a dead cow near Sometime Creek in New Mexico. The investigation determined the cow died of unknown causes. On October 15, a member of the IFT gave a project update to the Arizona Game and Fish Nongame Branch meeting at Horseshoe Ranch. Between October 17 and 19 a photographer from Arizona Highways magazine toured the BRWRA to prepare for an upcoming magazine article. On October 21, the Middle Management Team (MMT) met at the Springerville Forest Service office to discuss current project issues and to discuss future 10j rule changes. On October 31, the IFT met to coordinate the January 2015 helicopter survey. On October 6, Justin Martens began his position as a wildlife biologist for the USFWS. Welcome to the project Justin. On October 10, Allison Greenleaf, a former AZGFD biologist with the project, began her position as a wildlife biologist for the USFWS. Earlier this year it was announced that the governments of Zimbabwe and Zambia had signed a joint Memorandum of Understanding resurrecting the long proposed Batoka Hydro Power Station Development. This involves building a dam wall in the Batoka Gorge below the Victoria Falls. The resulting lake would flood a section of the Zambesi River for some 50km below the Falls, drowning one of the most highly regarded commercially operated white water rafting in the world. Feasibility studies have suggested that to build a dam wall, 196m high, in the Batoka Gorge, 50 km downstream from the Falls would flood the rivers and gorges upstream to almost the foot of the Falls. The Batoka Gorge is listed as an important bird life area by Birdlife International. An endangered species, the taita falcon breeds here as well as many other rare birds of prey such as Verraux’s eagle, lanner and peregrine falcon. It is thought that the narrow deep-water nature of the resulting lake will not sustain large fish populations and that the local mains electricity network is unliely to be developed meaning that many rural communities will continue to be isolated from the national electrical supply. We are very concerned about this proposed dam. Firstly, the white water rafting is considered to be one of the best in the world and we will lose that. Secondly, the bird life and the fish life will suffer. Also, it will mean that hundreds of rural folk will have to be relocated. An elephant was poached on the 20th July 2014 and 21 Binga villagers rushed in and skinned the elephant and took the meat. Binga resident magistrate, Stephen Ndlovu said he was baffled by the fact that the villagers knew that poachers had shot the elephant but instead of telling the police, they rushed in and stole the meat. Zimbabwe Parks and Wildlife Authority rangers at the Chete National Parks in Binga shot a suspected poacher dead and seriously injured 3 others they ambushed soon after they killed a female elephant in the park. The injured poachers are currently admitted in the Binga District Hospital in critical condition. They have been charged with unlawful hunting and possession of elephant tusks. The rangers found them relaxing around a fire they had made, cooking a meal. One of the men jumped up, picked up a gun and was shot dead on the spot. The highest penalty ever imposed in South Africa for the illegal possession of ivory was handed down in Khayalitcha Magistrate’s Court when Cheng Jie Liang was sentenced to 10 years jail and a 5 million rand fine for possessing 1 ton of poached elephant tusks. Liang, a Chinese nation who has been living in South Africa since 2003, was sentenced to a further 2 years jail for the illegal possession of abalone. Liang was arrested in September 2012 in Milnerton where the ivory was stored in 2 storage units at Storage Spot. The stash included 67 tusk tips indicating that 34 elephants had been killed. It is now estimated that in Africa, an elephant is killed every 15 minutes. Every year Born Free rescues and protects some of the most beautiful and endangered animals around the world. Some are rescued from lives of misery, some taken in as orphans, and others are protected in the wild. But we cannot do this alone. This Christmas, will you adopt an animal for someone you love for just £2.50 a month and help us to provide the care and protection these animals deserve? You could help provide the food for Roque the tiger, rescued as a cub from a Spanish pet shop, help protect elephants Emily Kate and Ewok from poachers, care for Dolo the lion who was kept on a 3ft chain for 4 years, or look after Gorph the orphaned hyena cub. Give an adoption to your friends and family this Christmas and they will receive a unique personalised adoption pack containing a cuddly animal, species fact sheet, your animal’s story and more. PLUS, they will also receive our Adopt! magazine twice a year containing updates on their animal and all our other animal adoptions. For 70 years, not a single wolf had been seen at the Grand Canyon from where the Grey Wolf had been eliminated decades ago. Could that announcement mean the return of the species to another one of its lost territories, bringing with it the same ecological benefits wolves have provided elsewhere? Once the Grey wolf was the apex predator across most of the United States, but a combination of livestock attacks and exaggerated accounts of threats to humans resulted in a campaign that led to the killing and total elimination of the species from the lower 48 states. Later on, a rise in environmental awareness laid the foundation to reintroduction programs in the Great Lakes and northern Rocky Mountains, which have brought benefits far beyond expectations. It not only resulted in the reduction of the elk over-populations, but also moved herbivore locations back to places where they did less damage to the vegetation. Some Mexican wolves were introduced to Arizona and New Mexico, but the wolf spotted on the North Rim of the Grand Canyon National Park looks more like one of the large-bodied Grey Wolves that were reintroduced to the northern Rocky Mountains with great success. If that turns out to be a fact, he must have made a remarkable journey. The breeding population closest to where he could have come from is over a thousand kilometres away, near Yellowstone National Park. The Center for Biological Diversity (CBD) welcomed the report and stated that more than 30 wolves had been killed by government hunters on the North Kaibab, including Grand Canyon National Park, in the early 1900s. Kim Crumbo, the conservation director for Grand Canyon Wildlands Council said that the possibility that a determined wolf could make it to the Canyon region is cause for celebration, and we must insist that every effort is taken to protect this brave wanderer. 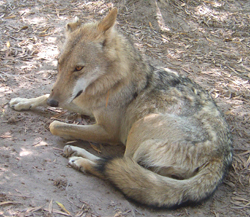 The Fish and Wildlife Service is planning to collect faecal samples to confirm that the animal is indeed a wolf, and not a wolf-dog cross. Two years ago, a wolf known as OR-7 left his pack in Oregon to become California’s first wolf in 87 years, but is now back in his home state raising pups, adding credibility to the possibility that a journey such as this is indeed possible. Today, the Grey Wolf population of the lower 48 states has again reached 5000 individuals, which again led to proposals to have them removed from the endangered species list, although the CBD notes that they now only cover less than 10% of their original range. Wolves venturing outside their current range have recently been shot or poisoned in three states, leading the CBD to stress the reminder that the intrepid wolf is currently fully protected under the Endangered Species Act, which prohibits killing, wounding or harassing the animal. Oh, what a beautiful thing…the love of two beings. I always think of love as if it were something alive, as if it were a mistress itself. But I never could have known something like this. As I hold my love, a gorgeous maiden, I see the true world in her. I see the innocence and natural ways of the wolves in her golden eyes and I feel the warmth from her body that not even a thousand human lovers could create. Her warm lips met mine in a long kiss that sent comfortable shivers down my spine and raised the hairs of my body to stand. We held each other close and felt our hearts beat at a rising pace as we changed. 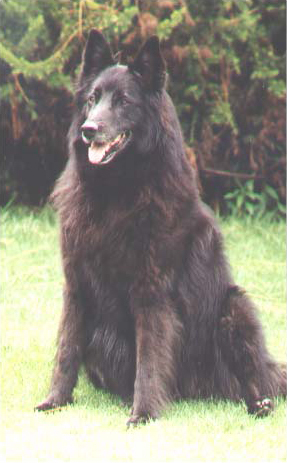 Fur grew from us; a silver coat like pure moonlight from her skin and a brown coat as dark as the earth from mine. Our kiss ended slowly and we stared into each other’s eyes. Hers, two golden pools of pure innocence and female curiosity, shined by some unknown light. Then, releasing my hold on her, we removed ourselves from our human clothing. What once was man and woman, was now two wolves. We stood on our hind legs and held each other again, only now I felt the silk of her fur against mine. So much heat…so much fire from within us that could melt arctic snows but instead warmed us. A fire like a roaring blaze in the most beautifully crafted of fireplaces; those adorned with paintings that held the purest colors, chosen only by the most inspired of artists. And that same beauty became an aura over us. We let ourselves fall into another kiss that lasted, it seemed, to the end of time. I allowed my hands to wonder across her body; my fingers running through her fur with a light touch. She let out a low purr as I moved my mouth to her neck and let the wolf’s lips continue in their natural way. She then nudged me with her muzzle and pushed me back from her neck to stare at me. Our glance was strong…un-breakable between us. I began to feel that not even the strongest of warriors could take me away from this moment, no power or force could ever hope to end this love that we, two wolves of ancient origin in spirit, shared with each other. And as I laid her down, my wondrous love, I saw, not a mate as in many bonds of animal intimacy, but I saw a lover. I saw a woman…and a wolf…who would die for me as I would for them, and would always be there to listen and talk with me for as many years as life would allow. And it is now, in this very moment that we feel the true power of love and a passion that no human could ever understand. We are bonded together in this endless night, beneath the moon and stars that shine upon us…we two who know the feeling and meaning of wolf love. And it is in this feeling we shall forever rest, on this passion we shall forever thrive. I know in my heart we were meant to be, and we shall always remain as we are. We are lovers and friends…and as I see her smile…I realize that I have never been happier. Our friend from Germany, who had last visited us in March this year, is back for a second visit. Unfortunately he arrived here in the middle of the night, and the pack was not impressed; Kajack II wanted to chase him away, and Taima looked as though she had seen a ghost and disappeared out of sight. Ascar II also kept his distance first, but then quickly remembered him, and immediately went for his shoes. The only one keeping his calm was Aqua because he had met our friend many times before and greeted him in his friendly and gentle manner. After a while, Kajack II calmed down a bit and kept quiet as long as our friend sat on the couch chatting with us about his flight out here and all the things that happened since his last visit. The moment he got up, though, Kajack II would make it quite clear that he was not yet prepared to make friends with him, although in March, he and Ascar II had been all over him on the couch and always chased after his feet when he walked about. 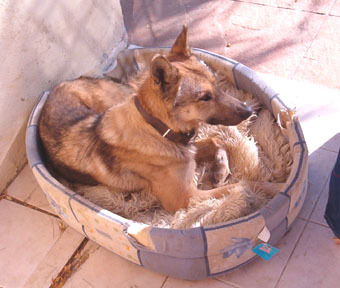 Aqua had made himself comfortable next to our friend on the couch as if he had never been away, and Ascar II also cuddled up at his feet. Because it was already very late (or better to say rather early) we decided to go to bed about an hour later, and the moment Kajack II saw our friend disappearing into his room and closing the door behind him, he happily came inside and went straight to our bedroom. Aqua and Ascar II also settled down on their sleeping places, but Taima still refused to set paw into the house. In the end we had no other choice but to leave the backdoor open for her to come inside when she thought it to be safe enough. I woke up about 2 hours later and checked whether I could close the door now, but she was still outside, and in fact she only came in shortly before we got up in the morning. Ted and I were not impressed with the situation and decided that this would be the last time that somebody arrived here that late; next time it will be a hotel room for the night, and Ted will then pick the visitor up the next morning. I was not really looking forward to the next day; although our friend would only stay with us for two days before joining a small group for a 10-day trip. Ted and I were afraid that the situation might not change and that Taima might even refuse to eat while he was here. But to our surprise (and great enjoyment and relief), Taima had changed her mind over night, and although she still kept her distance she started behaving normally again, even coming into the living room when our friend was there, eating her food, and sleeping inside. And seeing that Taima was so much calmer around him, Kajack II now also started to relax, even getting close to him from time to time to give him a good sniff-over. Now we are curious to see what will happen when our friend comes back from his tour. The furry kids are very well aware of the fact that he has not yet left for good because some of his luggage is still in his room. Meanwhile they have taken the opportunity to give it a good inspection, which seems to have taken a lot of tension out of the situation. Well, all we can do is wait, see and hope for the best.